The Leader in services, repairs and spare parts of refrigerated truck, container and generator in Toronto, Canada. Welcome to our web site. The leader in services, repairs, and spare parts for Thermo King, Carrier, Mitsubishi, Daikin, and in Toronto for reefer container, and genset. We are conveniently located next to CN Brampton Intermodal Terminal and 15 minutes from CP Vaughan Intermodal Terminal in Metro Toronto area. We currently have eight service trucks, three trailers and two mobile generators. Three trucks are equipped with power wash machine, fuel tank and fully equipped to take on any major repairs. All other trucks are also equipped with vacuum pump, repair parts, and they are setup to go to any location at short notice if there is any emergency repair requirement. With our mobile generator, we can go to any railroad heads, trucking terminals, freezers, within hours in Greater Toronto Area. 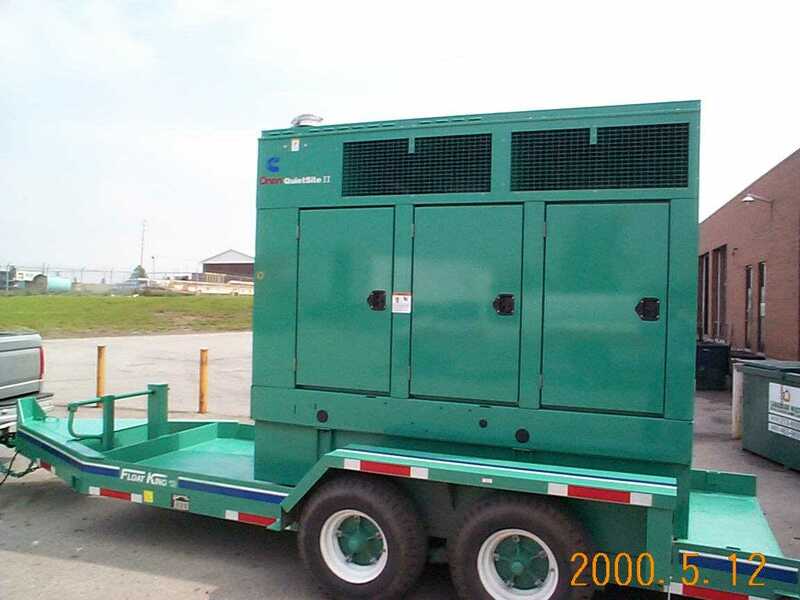 Recently we added genset rental service to our customers. Recently we added new division to our group, Win-Haul Container Inc.
Win-Haul Container Inc., originally only an idea of providing better quality products made in China of small engine equipment with competitive price, it is now a brand name that people recognize it. Win-Haul Inc. , the distributor for Orange Storm Small Engine Equipment and CIMC Diesel Generator, was formed in 2003 as a service company in transportation industry as part of Leader Refrigeration Service Group. We realized the need for good quality small engine equipment such as chainsaw, pressure wash, water pump and gasoline generator with competitive pricing. We teamed up with factories to establish productions procedure and quality control standards to meet customer's demand for high quality and better price. We also have trained technicians available in Canada to take on any repair and warranty issues of our products to reduce our customers' waiting time for equipment repair / warranty. It is our confidence that we can provide quality product, fast after sales services, and competitive price for our customers in North America. If you need any assistance regarding ordering spare parts for reefers, please feel free to contact us. We will provide competitive part price and fast delivery for all Thermo King, Carrier, Mitsubishi, and Daikin reefer unit.